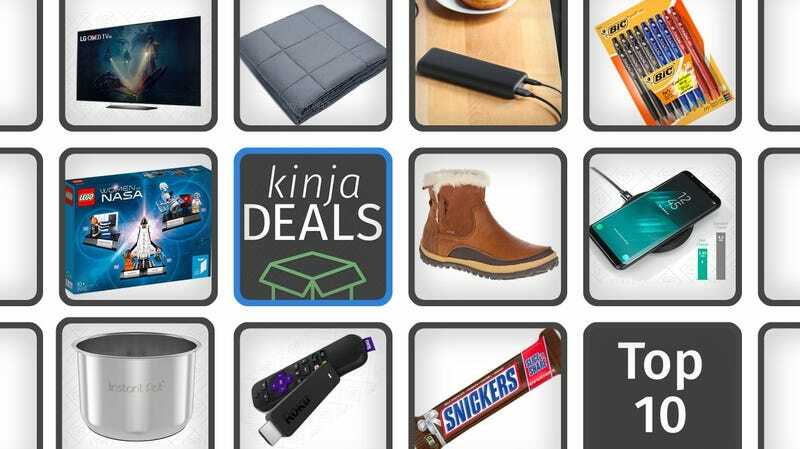 We see a lot of deals around the web over on Kinja Deals, but these were our ten favorites of the day. Pick up discounts on Lenovo ThinkPads, the essential cast iron skillet, and an Anker dash cam. Head over to our main post for more deals, and follow us on Twitter and Facebook to never miss a chance to save. You can also join our Kinja Deals Community Facebook group to connect with your fellow deal hunters. If you love inky blacks and vibrant colors—and who doesn’t?—this 2017 OLED LG TV is down to $1500 today on MassDrop, or $2300 for 65", about $200 and $500 less than Amazon, respectively. As you’d expect from any high-end TV these days, that gets you a 4K panel and Dolby Vision HDR, but OLED technology means the blacks will be far richer, and the colors more vibrant than any LCD-based screen you can buy. It’ll still cost you, but your eyes will tell you it was worth it. Note: The $140 blanket sold out, but here’s another model of the same size and weight for $5 more. It’s the winter, so you’re probably feeling anxious and tired, a general malaise if you will. If you need a break from all the craziness and just can’t get your brain to turn off for one second, you’re gonna want to check out a weighted blanket. This one is down to $140 once you clip the $10 off coupon, which is an all-time low. Just trust me on this one. Anker’s reader-favorite PowerCore battery packs run the gamut from tiny tubes that fit into your pocket to massive blocks of energy that can power your devices for days at a time. Today’s deal is quite firmly in the latter camp. The PowerCore Speed 200000 is one of the few battery packs on the market with USB-C Power Delivery up to 22.5W. That means it can charge a 12" MacBook at nearly full speed, a Nintendo Switch at full power while you’re playing Zelda on a plane, or an iPad Pro significantly faster than the charger it came with (if you have a USB-C to Lightning cable). Power Delivery works both ways too, so you can actually recharge the entire battery pack with the included 30W USB-C wall charger, which will refill it in a fraction of the time of a standard 2A USB charger. We saw this thing at CES last week, and while its capacity is slightly smaller than the similarly equipped PowerCore+ 26800, it’s dramatically lighter, and probably the better choice for most travelers. They’ve marked it down to an all-time low $80 today on Amazon, which is $10 less than its launch price, and $20 less than its regular going rate. Everyone needs pens, and let me tell you, Amazon’s got pens. Today only, Amazon’s discounting over 70 different styles of pens from BIC, plus a handful of other office supplies, as part of a Gold Box deal. Have a favorite type? Let us know in the comments. LEGO’s Women of NASA set launched late last year, and it won’t stay in orbit forever, so you might want to grab it while you can for an all-time low $21. Merrell makes some of the best footwear in the game, and they’re knocking up to 30% off a bunch styles to help you hit the trails (plus some outerwear to help with the cold). It may not exactly be hiking weather, but if you’re a bold winter camper, these are the boots you should pick up. Now that Apple’s jumped aboard the Qi train, we’re seeing a lot more charging pad deals than we used to. This new model from RAVPower supports 10W fast charging for compatible Android phones, and is just $12 with promo code KINJA63C. At that price, you can afford to put them all over your house. Tens of thousands of our readers have bought Instant Pot pressure cookers, and one of the best accessories you can add to your collection is an extra cooking pot, especially at an all-time low $22. Owning two Instant Pot pots means that you can use your cooker two nights in a row without doing the dishes. What a luxury! Yes, it’s a little thing, but it’ll make your kitchen experience meaningfully better. 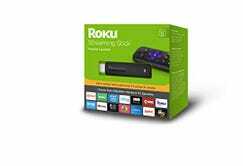 Roku came out with a new version of its popular streaming stick late last year, and you can already get it for 20% off on Amazon. Most of this Gizmodo review of the older model still holds true, but the 2017 model comes with a voice remote, so you won’t have to search for shows with an on-screen keyboard. Already kicked your new year’s resolution to the curb? 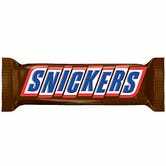 Amazon’s taking 20% off select M&M’s, Snickers, and Mars candy right now, including full sized, fun sized, and even giant-sized bars. Just note that you won’t see the 20% discount until checkout. For the rest of today’s deals, be sure to check out our main post.